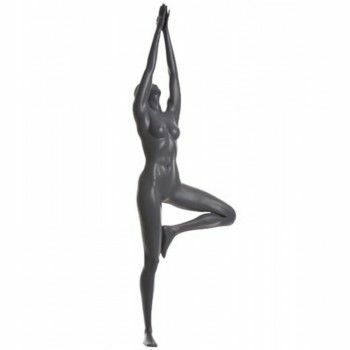 Fashion Mannequin dedicated to the sport in a position of Yoga. Gray, there are also white. 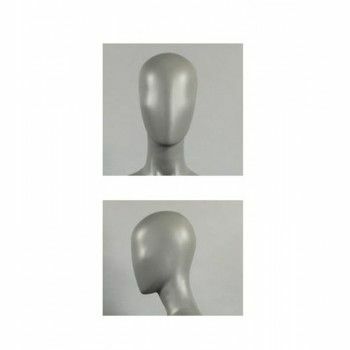 Possibility to repaint this mannequin in the color you want. Several finishes available: matt, satin, glossy. Fiberglass. 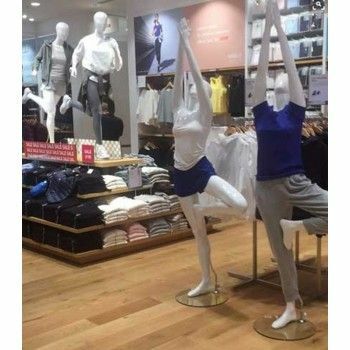 Female mannequin that requires little maintenance. Window mannequin easy to handle and to dress.